Combustion with hearth and rear grate section with hinged cast steel elements. Integrated ash trays and optional de-ashing with auger. Completely refractory lined and stochiometrically designed primary and secondary combustion air zones. 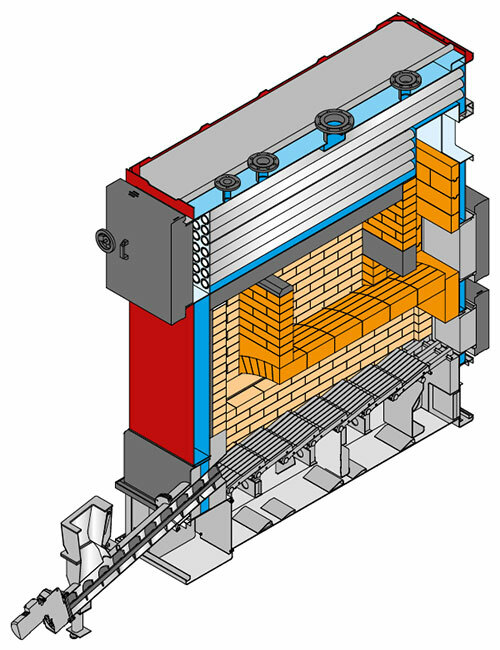 Combustion with hydraulically or electro-mechanically operated grate, for combustion of dry fuels with high ash content. Fully automatic de-ashing of the combustion unit with ash scraper below grate and ash auger. Completely refractory lined combustion chamber. Stochiometrically designed primary and secondary combustion air zones. Alternatively with auger or hydraulic infeed. 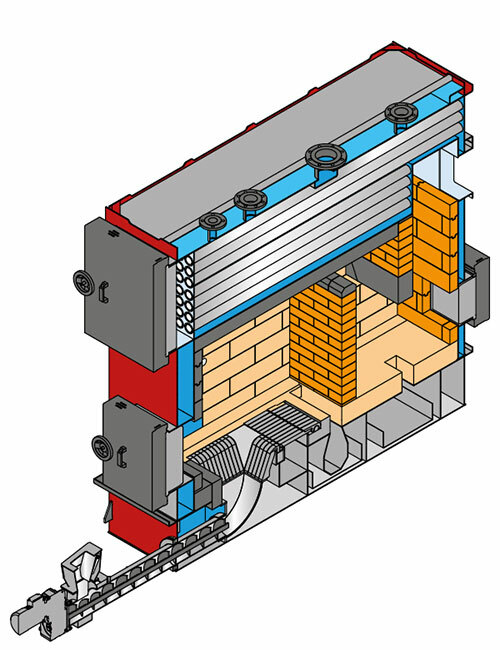 Typical application Combustion units for Industry, district and local heating etc. 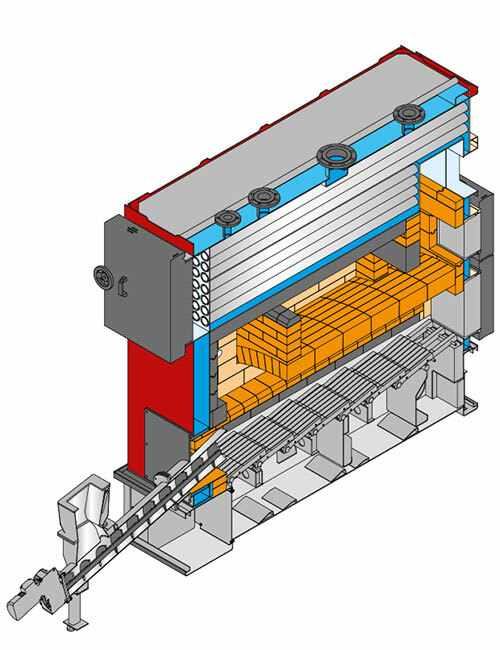 Combustion unit with hydraulically or electro-mechanically operated grate, for combustion of wet materials with high ash content. Fully automatic de-ashing of the combustion unit with ash scraper below grate and ash auger. Completely refractory lined and Stochiometrically designed primary and secondary combustion air zones. Alternatively with auger or hydraulic infeed.